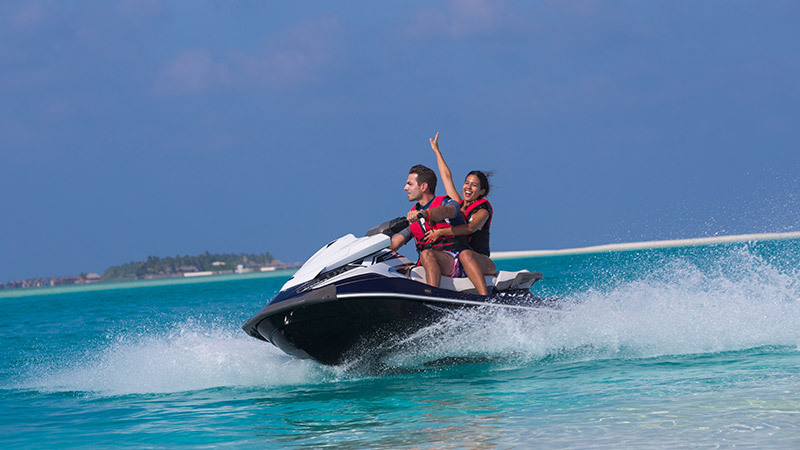 For those looking for a more adventurous type of activity while at Veligandu, we recommend a heart-pounding ride across the lagoon on jet ski. Hop on the water scooter, solo or as a couple, and get ready to splash! Maneuver the watercraft on your own and explore the sublime surroundings of the island from a different perspective, and at your own pace. Bouncing off the waves is sure to feed your adrenaline rush and will make for exciting memories to last a lifetime. Are you ready to withstand a bumpy ride on jet ski at Veligandu, Maldives? Then drop us an email at veligandu@oceangroup.mv or visit our Ocean Water Sports Centre to book your experience now!